Don’t let your iPhone XS selfie or back camera ruin your unforgettable adventure. Get it replace in no time at AppleSolution at Lowest cost and in a day. Take advantages of ✓ Free pick up & drop ✓ 1 Day Turn around Service. We have our repair chain in Powai - Mumbai, Goregaon - Mumbai, Naupada - Thane West & Sanpada - Navi Mumbai. 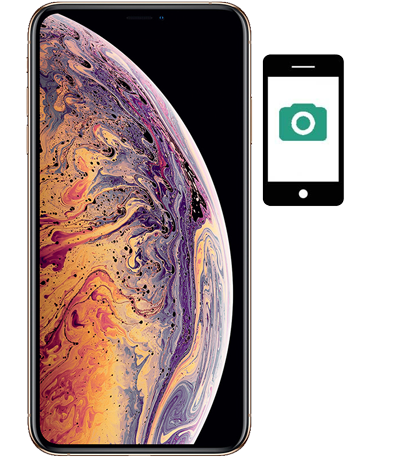 Front or Back, if camera creating a problem; not getting on or showing a black display when turn on then you might need to check your iPhone XS at AppleSolution. Bring it to our store for a free diagnostic and we’ll see if it needs to be repaired. iphone xs selfie/ front camera not working. iphone xs rear/ back camera not working. iphone xs showing black screen when switch the camera. iphone xs switched off after when turn on the camera. iphone xs not switching to wide angle camera mode. iphone xs camera protective glass has scratches. iphone xs camera protective glass broke after fall down.